Maybe it’s a good thing and maybe it isn’t, but Senator Joe Manchin, at least on paper, doesn’t seem to play favorites given the decisions he has made throughout his political career. A square peg in a round hole he is described by many, the West Virginia native has never played linear politics. A politician of Democratic membership, Manchin has on a myriad of occasions been called out and criticized by colleagues and Americans from the left because of his history of throwing his weight behind the Republicans on certain hot-button issues such as abortion, gun violence, and even voting choices. Perhaps his worst criticism came when he developed a rapport with President Donald Trump and even voted for his candidate for the job of the Attorney General, Jeff Sessions. To be fair, Joe has also voted against the Republicans on many occasions too, including in their bid to appoint Betsy DeVos as Education Secretary and in Trump’s bid to repeal Obamacare. One thing is clear, Manchin, who has been described as a turncoat Democrat appears to embrace true bipartisanship and vote his conscience instead of along party lines. The Senator served as the governor of West Virginia from 2004 until two years into his second term before he vacated office to take up the Senatorial seat left open by the death of Senator Robert Byrd. Joe Manchin’s life and career have really been an interesting roller coaster ride. So who is Joe Manchin really? Here are a few things you should know about the Blue Dog Democrat. 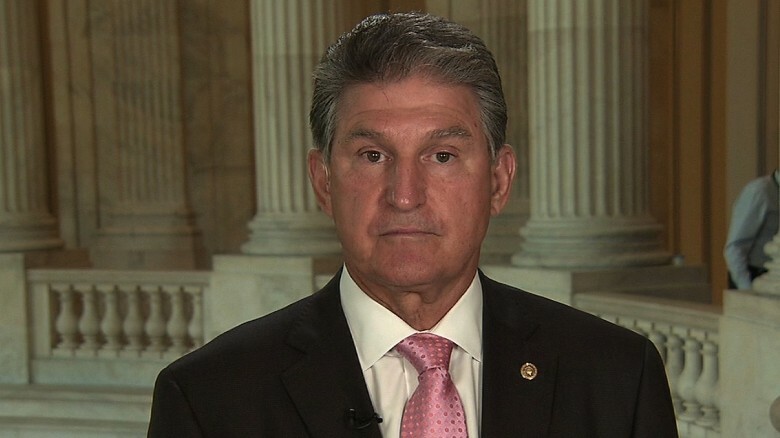 Born in 1947 in the coal mining town of Farmington, Manchin is a third-generation politician. Growing up, he saw his grandfather, Joseph, and his father, John serve as Mayor of Farmington. He also has an uncle, A. J. Manchin, who served in West Virginia’s House of Delegates and subsequently as the State’s Secretary of State. 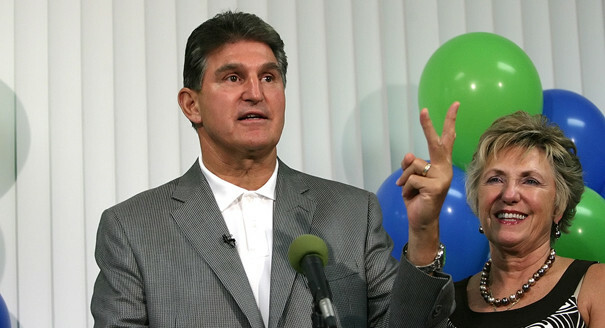 Early on in his life, it appeared that Joe Manchin was going to tow a different path. He played football in high school and got a football scholarship to study business administration at West Virginia University. It was not to be though, as he suffered a career-ending injury at the institution and upon graduation, he returned home to lend a hand in his father’s carpet and furniture store. The political bug finally caught up with him in 1982 when he was elected as a member of West Virginia’s House of Delegates. He was 35 years old at the time and hasn’t looked back ever since. Since 1982, Senator Manchin has been hard at work for almost every year since then. After his time as a member of the House of Delegates ended on December 1, 1984, he had a two-year break and came back exactly two years later on December 1, 1986, as a member of the West Virginia Senate. He served in this political capacity for 10 years culminating on December 1, 1996. A five-year break followed albeit unplanned. He ran for the seat of the governor of the State but found himself come out second best to Charlotte Pritt at the Democratic primary elections. Four years later, he was elected into office as West Virginia’s Secretary of State. Joe Manchin’s part to his 2004 gubernatorial victory was made easier when incumbent Bob Wise opted not to run for re-election, thanks to scandals about him that were making the rounds. Joe won by a landslide, a feat that he repeated against Republican candidate Russ Weeks in 2008. In 2010, due to the passing away of seating US Senator from West Virginia, Robert Byrd, Manchin became his replacement at the US Senate and saw out the remainder of Robert’s term. He then ran for re-election to his first full term and won. It has always been clear that Senior Senator from West Virginia doesn’t play party politics. In fact, he has often gone against his party in ways that shock even those of a Republican perspective. In early 2018, a few polling, news and data collection publications published a study that showed that the Democrat had unnaturally heavy conservative leanings. According to a study by Congressional Quarterly, the Senator had voted in line with Trump’s decisions 71 percent of the time. Five years prior, The National Journal gave Manchin a score of 55 percent conservative and 46 percent liberal. Manchin is a strong believer in reaching out across the aisle and working with any and everybody regardless of what party they belong to. He proved this when following his election to the United States Senate, he visited each of his 99 colleagues in the Senate personally in a bid to establish a rapport with each of them. The Senator has done a lot to rile the Democratic stand of the Senate and the entire left. Some of his seeming atrocities include voting against federal funding for Planned Parenthood in 2015, although he would later change his stance in 2017. He is also firmly against abortion of pregnancies that are up to 20 weeks old. Manchin is an advocate of gun control and has worked with Republicans to introduce stringent requirements for gun sales. The Farmington native was also against the largely Democratic-led government shut down in January 2018 and even threatened not to run for re-election if his party did not put an end to it. He was also the only Senator from the Democratic Party to vote ‘yes’ in support of the confirmation of President Trump’s nominee to the Supreme Court, Brett Kavanaugh. All these and more have often put him at odds with members of his party, but one of the most crucial was evident in his opposition to Obama’s candidacy during his bid for re-election as President. Joe said he was at significant odds with the then-incumbent president especially when it came to his views on economic and energy policies. To be fair, he also didn’t show support for Republican candidate Mitt Romney who he feared didn’t understand the struggle of real Americans at the grassroots level. Heather Bresch, Joe Manchin’s oldest daughter with his wife Gayle, was given an MBA by West Virginia University in 2007. This qualification qualified her to be tapped by Mylan Inc. to fill the role of the Chief Operations Officer. However, the company, the University, and the Senator all landed in hot water when the Pittsburgh Post-Gazette put out a publication suggesting that the University had doctored her transcript and changed some of her grades in order to make the award possible. It didn’t help that the President of the University at the time, Mike Garrison was a personal friend of Senator Joe Manchin. The MBA controversy culminated in the institution having to relieve Garrison of his duties along with the Dean of the Business School. The scandal almost cost the school its integrity, status, and credibility as a top academic institution. Of course, Joe and his wife Gayle consistently dismissed the allegations as false, however, the award was rescinded, although the generic pharmaceutical behemoth, Mylan Inc., refused to let Heather leave the company and retained her in her capacity as COO.